Brent Maher is best known for helping the Judds develop their distinctive sound and for producing all of their albums as a duo. But the six-time Grammy winner’s experience in creating classic American music spans several decades. 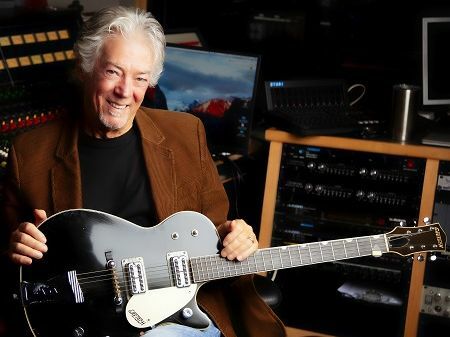 His credits as a producer and engineer include the Fifth Dimension’s “Age of Aquarius,” Roy Orbison’s “It’s Over,” Ike and Tina Turner’s “Proud Mary,” and recordings by Bobby Bare, Chuck Berry, Duke Ellington, Brenda Lee, Kathy Mattea, Elvis Presley, Kenny Rogers, Diana Ross, and Dottie West. The founder and CEO of Moraine Music, Maher remains active: his current projects include providing songs for the Facebook Watch series Queen America, starring Catherine Zeta-Jones. The interview program will include vintage photographs, videos, and recordings, and a live performance by Maher. After the program, he will sign commemorative Hatch Show Print. Presented in support of the exhibit The Judds: Dream Catchers. Ford Theater.